Join our priority plan from £11.00 per month. 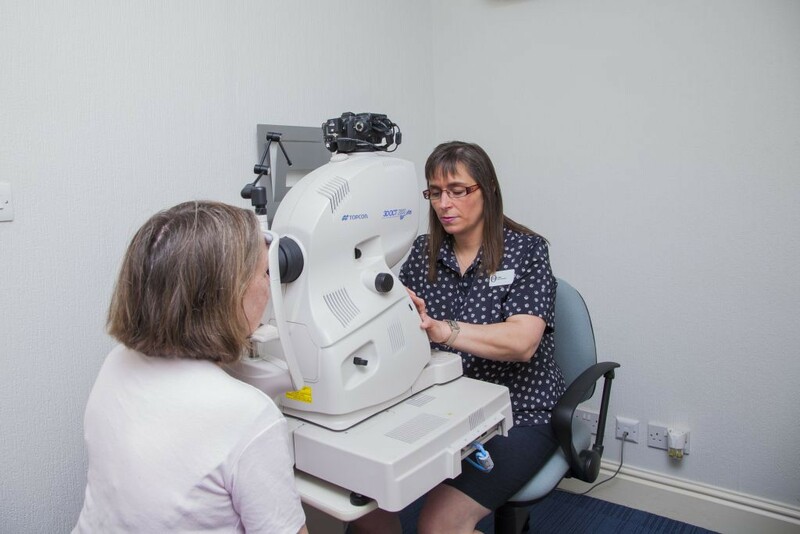 An eye exam with us consists of up to four different stages; this allows us to give you a thorough examination with our top of the range equipment. Each eye examination takes around 45 minutes – this includes your pre – screening. Here’s what you can expect from an appointment with us. In your pre-screening we will take OCT photos and 3D scans of the back of your eye as well as checking your field of vision. We encourage all of our patients to have regular OCT scans. 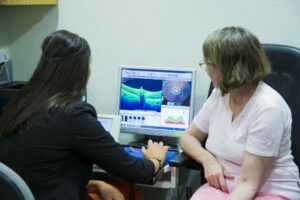 The scans show us in detail what your eyes are like now and help us to spot any changes in the future, this is particularly useful for patients worried about Macular Degeneration, Glaucoma, and ‘flashes and floaters’. We also recommend the OCT for those with Diabetes or people who have close relatives with Glaucoma. Davina and Fiona will go through the images from the OCT with you in more detail. After going through the results of your OCT, Davina or Fiona will then start a consultation with you where they will ask you about any symptoms you may have, take down history of your health and any additional information about your occupation or hobbies. You will then start your eye examination which includes; checking your vision on the Snellen chart verifying your prescription and recommending glasses if needed, finally you will have another check of the back of the eye followed by tonometry to check the pressure of your eye. 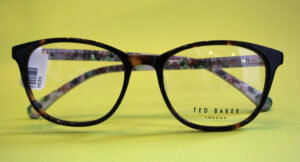 If you require new glasses, we will help you choose new frames. Every few months we get brand new stock of our designer frames for you to choose from, we will help you choose the best style and shape to suit you! We then use our state of the art Visioffice machine to take detailed measurements to make your glasses accurately and specific to you. 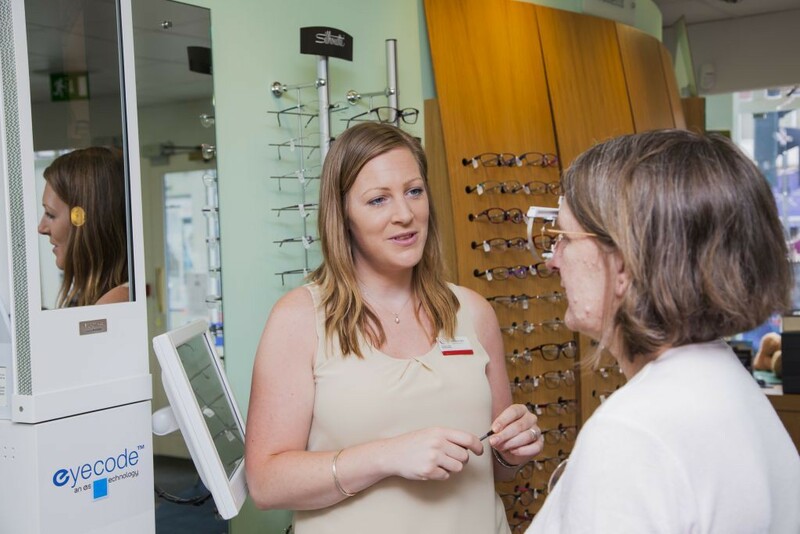 Once your glasses have arrived and we have checked them over we then book you a collection appointment with the same person who helped you choose your glasses. They will make sure your glasses are fitting correctly and that you are happy with your vision through them. We are more than happy for you to come back in for adjustments if your glasses aren’t fitting right.